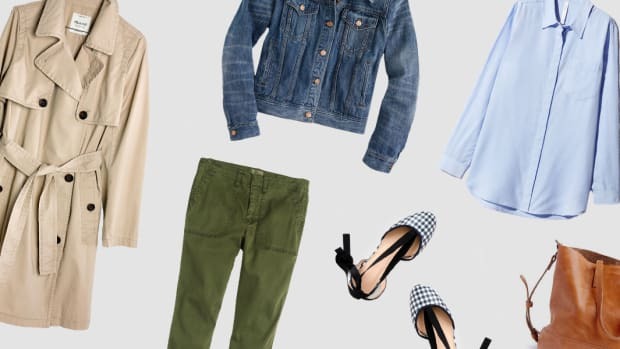 Women everywhere are making the warm-weather wardrobe switch, welcoming spring with a new fervor for dressing. But if you’re anything like us, you’re realizing that your wardrobe has a few gaps that need filling. 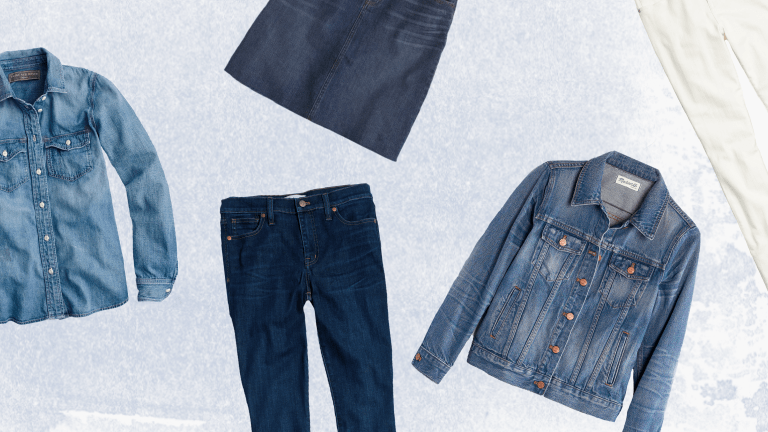 We all know denim is both versatile and comfortable, but do you have the most important denim staples? Our trusty blue threads are iconic to say the least, fulfilling the role of many items in one and blurring the lines between casual and formalwear. So if you’re looking to fill any gaps in your wardrobe, you know where to start. 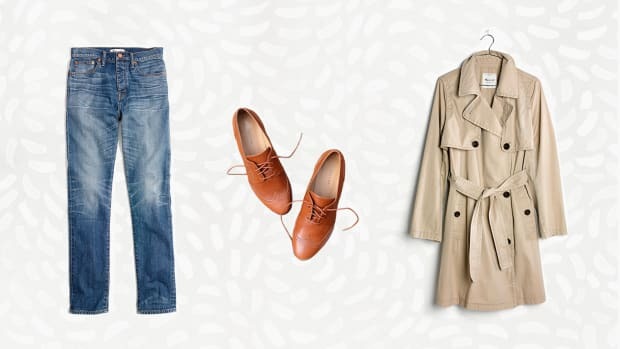 The denim jacket is the item you think you don’t need but are surprised when it repeatedly saves your outfit. Not sure if it’s a little nippy out? Denim jacket. Outfit looking a little too dressy? Denim jacket. Outfit looking too frumpy? Denim jacket. 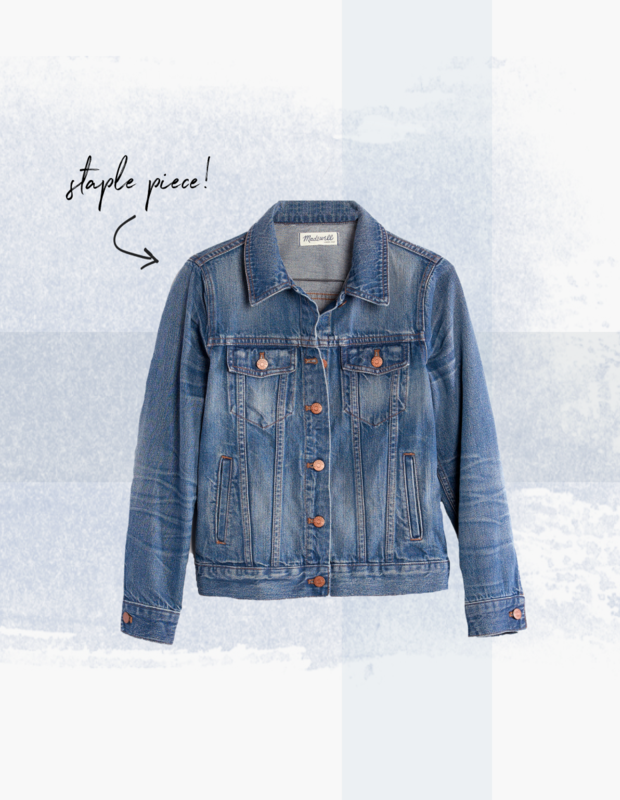 Straddling the line between casual with its cotton fabric and formal with its structured silhouette, the denim jacket is one of the most versatile pieces you can have in your wardrobe. Obvious, yet so necessary. 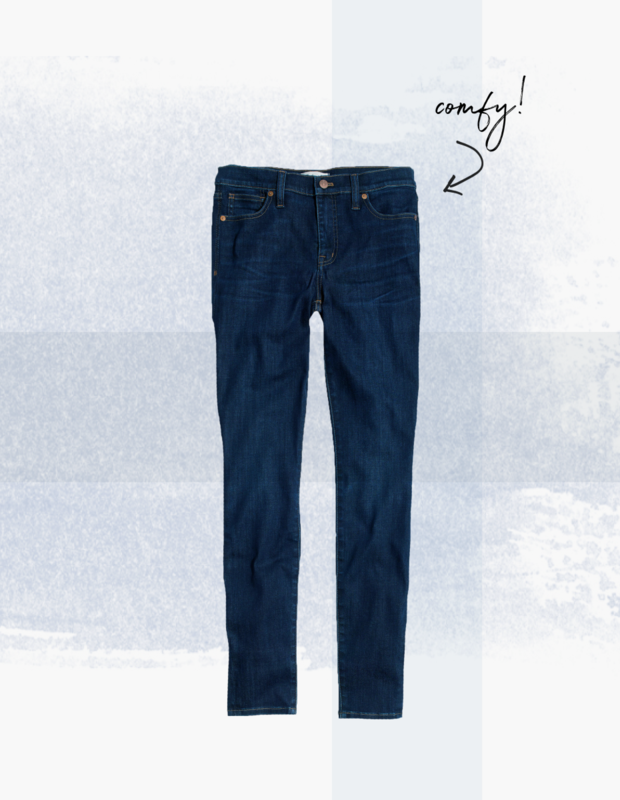 A pair of comfy, flattering jeans is a wardrobe must. They must be the kind of jeans you love sliding into, feel unrestricted in, and want to repeatedly wear throughout the week. They make you feel on top of the world and work with any top or pair of shoes you own. Often, a woman’s favorite pair of jeans consists of three traits: (1) dark wash (versatile and leg-lengthening), (2) stretch (comfort is a priority), and (3) a mid-high rise (because who wants to be afraid of bending over?). Invest in a pair of jeans with these three qualities, and you’ll be thanking yourself sooner rather than later. 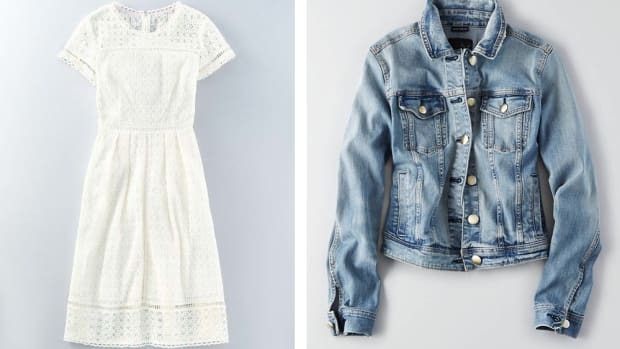 You might be uncertain of adding a white item into your wardrobe because it requires you to be extra-careful, but white denim is the fabric of summer and well worth the risk. 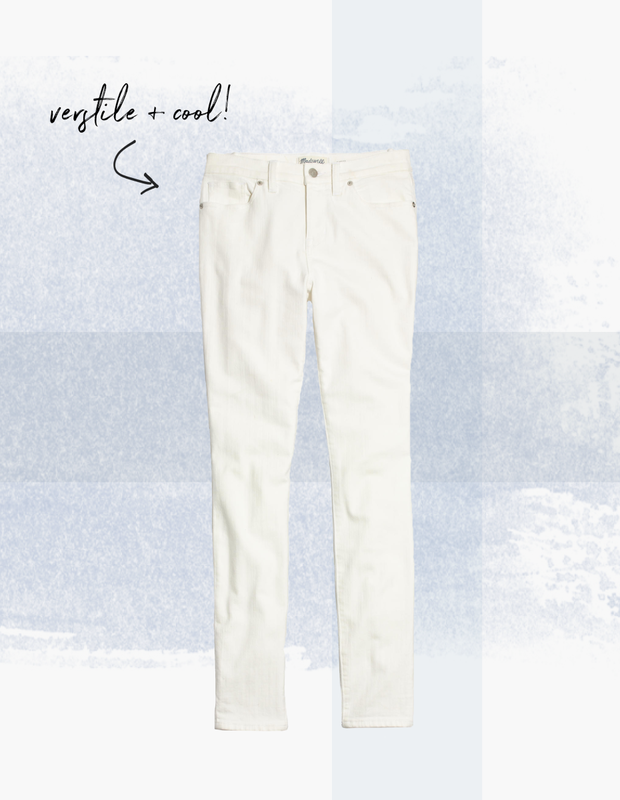 Just as versatile as dark denim, white jeans will go with anything you own. Most importantly, they won’t act as a heat magnet as most dark-wash jeans do when the sun’s out. So you can rock all your favorite jean + tee combos without sweating all day. Now that’s a win-win. Before you scroll past this throwback, hear us out. This is not the low-rise denim miniskirt of our middle school days. This is a high-waisted denim pencil skirt—a style that’s having a major comeback. To keep it classy, avoid overly distressed or shredded denim styles, and stick to sleek silhouettes in dark or light washes. 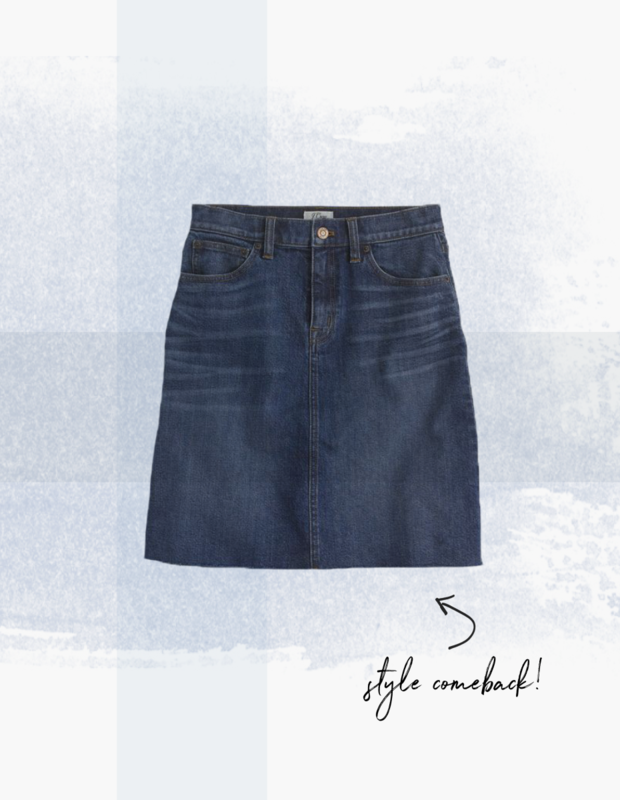 This trusty skirt is perfect for the days you want the casual appeal of a pair of jeans but the femininity of a skirt. 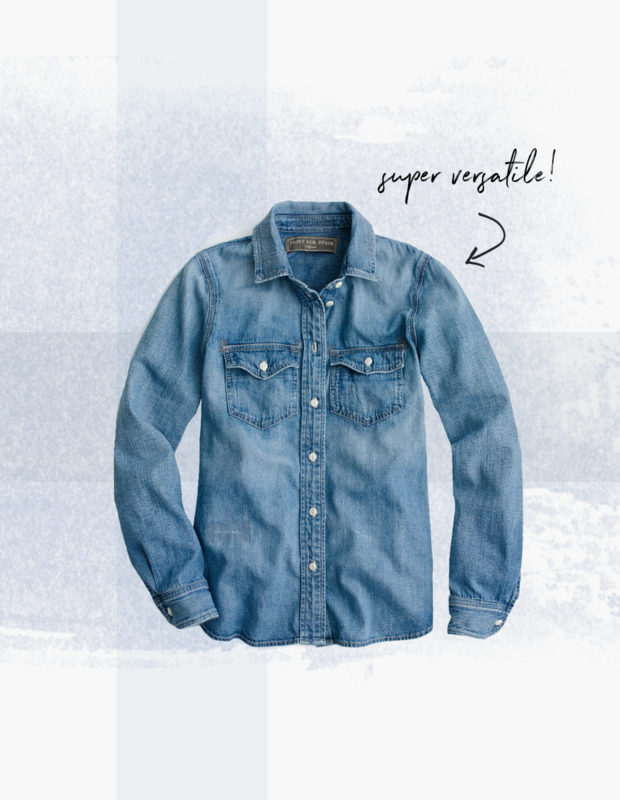 The height of the chambray’s popularity has faded over the past couple years, but it still remains a wardrobe staple that isn’t dated—and it sure comes in handy when you want the comfort of a T-shirt but the classiness of a button-up. The best thing about a chambray is that it’s the most versatile of all denims. 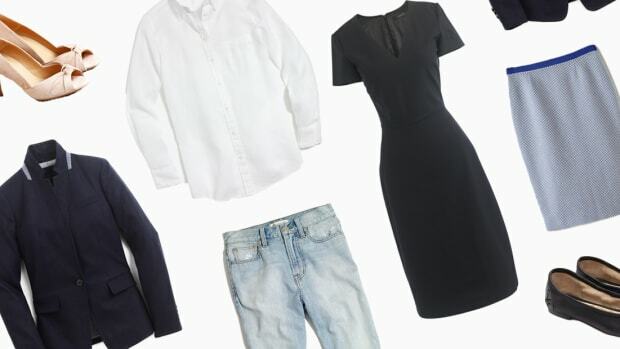 You can wear it with a fancy pencil or midi skirt à la J.Crew or go totally Canadian tuxedo with a pair of jeans. For an instant cool-girl vibe, look no further than the chambray. 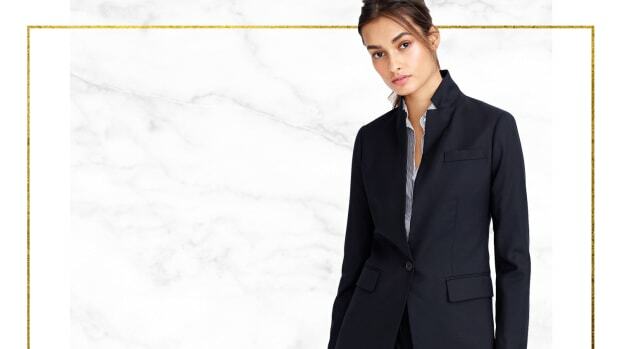 Take on the working world with confidence!